The Burlington Democratic caucus on Thursday included an alliance with a Progressive — and featured a fiery speech of support from the mayor — as party members picked their slate of four city council candidates ahead of Town Meeting Day. 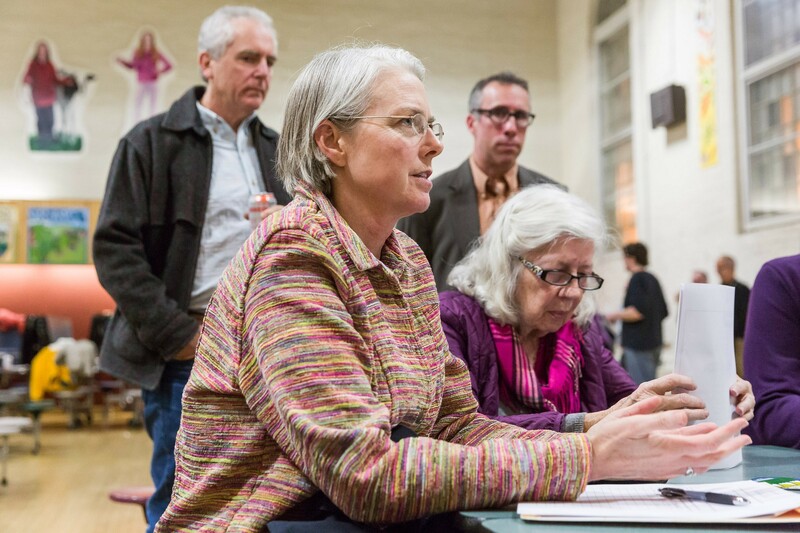 Central District voters endorsed Progressive City Council President Jane Knodell, while voters in the city's North District backed independent Councilor Dave Hartnett for that seat. Party members also unanimously selected Councilor Joan Shannon to run for the South District seat and nominated newcomer Richard Deane to take a shot at winning the East District. One decision came with its fair share of detractors. 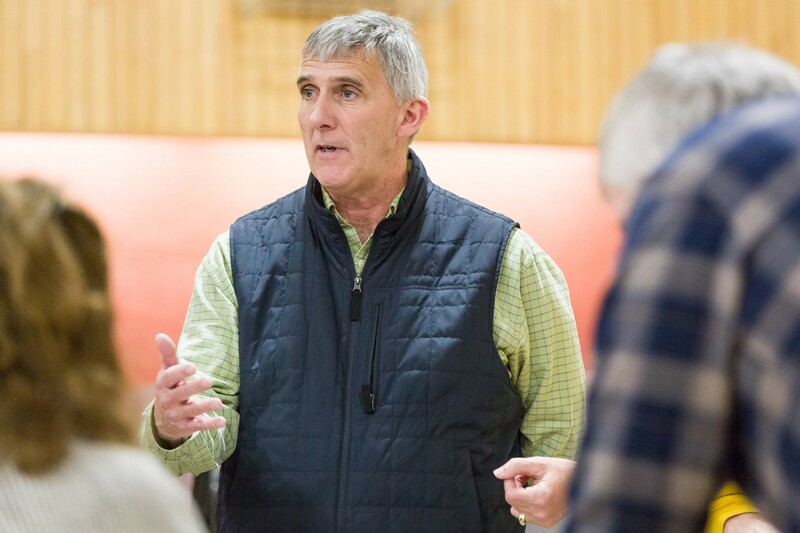 Applause waned and at least one person booed when Mayor Miro Weinberger asked party members to nominate the incumbent Knodell for the Central District seat after no Democrat volunteered to run for the post. “In the face of a hijacking of her party, she has stood firm in the belief that expanding economic opportunity [leads to] expanding equity,” he told the crowd, which included 2016 Democratic gubernatorial nominee Sue Minter, Vermont Democratic Party executive director Conor Casey and state representatives. Though never explicitly named, Weinberger’s remarks appeared to take aim at those who vocally opposed the Burlington mall redevelopment and other development projects supported by the administration. Charles Simpson, a Progressive who opposed the mall redevelopment plan, is competing with Shannon for the South District seat, while Genese Grill, another outspoken mall opponent, will run against Knodell as an independent. Knodell also faced a challenge at the Progressive caucus last month from Tony Redington, yet another mall opponent. “There is a struggle going on for the soul of the party of Sanders, Clavelle and Knodell,” Weinberger said of the Progressives. The local Progressive Party chapter opposed the mall redevelopment proposal, but Knodell was an outspoken proponent of the project. “I’m thankful to Jane for all she did in breaking with her party to support the town center,” Weinberger told Central District voters. Knodell did not attend the caucus at Edmunds Middle School, but Weinberger said she agreed to accept the Democratic nomination if she won it. 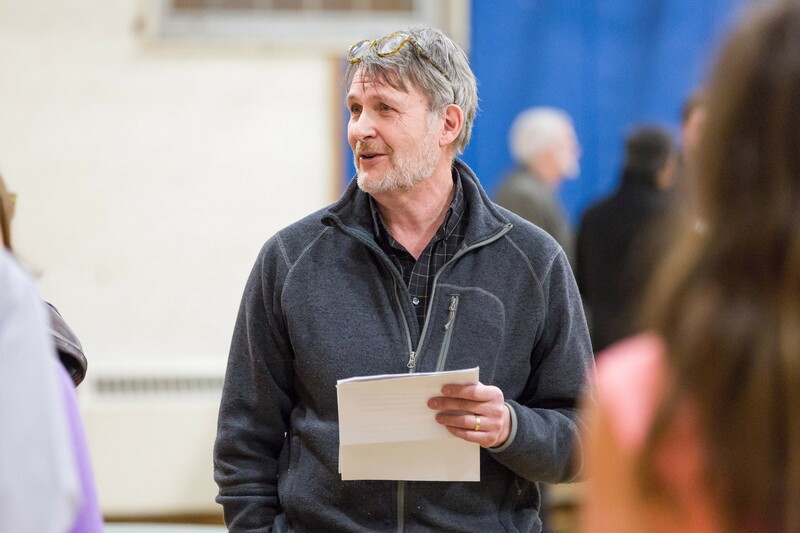 The Democrats welcomed independent Dave Hartnett back into the fold after the party nominated another candidate at the caucus two years ago. Hartnett then ran and won the 2015 election as an independent — but willingly accepted the Democratic nomination this time around. “I’m like the mother-in-law you can’t get rid of,” he said with a laugh. “It’s a big party and I believe all views should be welcome,” he said, adding that his views often fall to the right of the party center. Deane works as an architect for TruexCullins, a career that he says sets him up well to serve on the council. “My training is to evaluate what I see, come up with ideas for clients to meet their future needs and put together a plan to make it happen,” he said. As chair of the Burlington Business Association, Deane testified in support of the mall redevelopment before the city council last year. He decided to run recently, he said, at the urging of Weinberger and Shannon, whom he calls friends. The East District is wide open after Selene Colburn, a Progressive, won a seat in the Vermont House and announced that she would resign from the council. Deane will face Charles Winkleman, chair of the Progressive Party, in the March election.